If your mechanic shop is looking for a new car lift to improve safety and production, look no further than our selection of Hofmann car lifts. Our selection includes the best variety of top styles and designs that will make it easy on you and your employees. 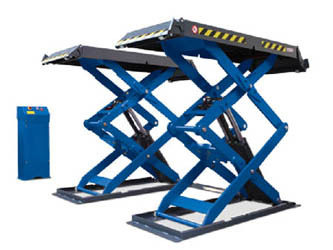 We have scissor car lifts, 2 post, and many other options. 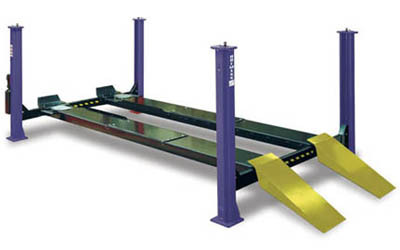 Hofmann’s 12k Four Post Alignment Lifts provides you with 12,000 lbs of heavy-duty lifting capacity in a compact package - no need for multiple lifts. Min/Max 4 Wheel Wheelbase: 88.5" / 158.5"
Max 2 Wheel Wheelbase: 168.8"
The Hofmann 9K variolift Double-Scissor General-Purpose lift is designed to accommodate a wide range of vehicles. 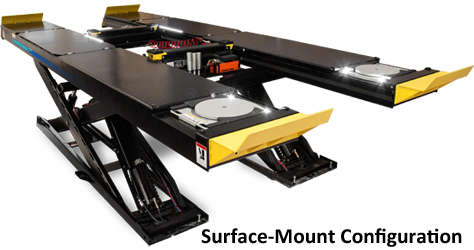 The Hofmann 12k Scissor Alignment Lift is a rugged 12,000 lb capacity scissor alignment lift with open front design that provides easy access to alignment service and calibration areas. Limited Time Offer EELR709A Sale Price Valid thru June 28th! Hofmann’s 14k Four Post Alignment Lifts give you 14,000 lbs of heavy-duty lifting capacity in a compact package - no need for multiple lifts. 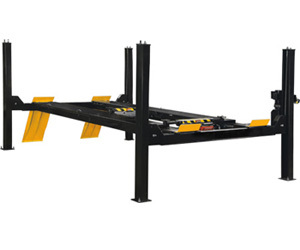 Service Wheelbase: Up to 179"
Hofmann’s 4-Post Alignment Lift offers 18,000 lbs of lifting capability and a lifting system that provides for high-wear resistance and a smooth gliding operation. 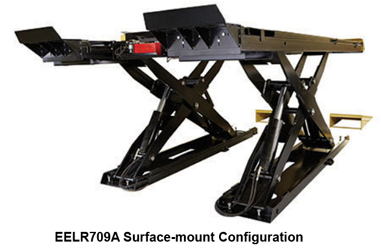 Service Wheelbase: Up to 194"
Limited Time Offer EELR789APKG Sale Price Valid thru June 28th! Our choices range from a 9,000 to 18,000-pound weight capacity, so you can feel comfortable working under them on your vehicles. No matter how much space you have to work with, we can find a suitable option for you that works with your budget. We have all of the best styles and designs that are trusted in the industry by many top professionals. 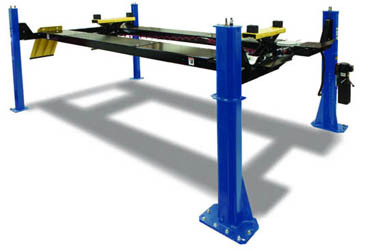 They’re easy to use and operate, and you will get your cars lifted safely in a timely manner, on a consistent basis. All options are ALI certified, so you know they can be trusted and depended on. With adjustable lifting pads and height adjustments, you can modify it exactly how you need for the type of vehicle you’re working with. With a single point safety lock release system and taller carriages that provide smooth performance, it has everything you need. It has all the features and versatility you need to work on any type of vehicle that comes into your shop. You can do any type of service from an oil change to something more complex, in a timely manner that saves you time and energy. Getting vehicles on and off the lifts is easy when you use Hofmann car lifts. We have various styles that have been proven to be effective and reliable in the industry. Hofmann car lifts are the most versatile and reliable lifts in the industry. We invite you to browse our selection and find the best style to suit your needs. If you have any questions or concerns, please contact us right away!